Child, a girl 4-5 years old, juggles with soap bubbles. Super Slow Motion Picture. 240 fps. The concept of children's leisure, entertainment. The girl has a funny winter hat with ears. 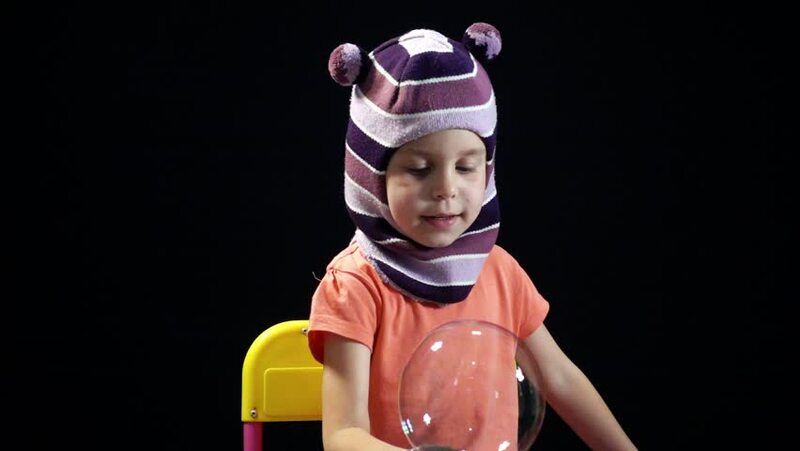 hd00:19Child, a girl 4-5 years old, juggles with soap bubbles. Super Slow Motion Picture. 240 fps. The concept of children's leisure, entertainment. The girl has a funny winter hat with ears. hd00:14Studio shot against a dark background. Lovely child, a girl 4 - 5 years old, wearing a Santa Claus hat. hd00:19Child, a girl 4-5 years old, juggles with soap bubbles. 240 fps. The concept of children's leisure, entertainment. The girl has a funny winter hat with ears. Studio, black background.